Do I Need a Professional to Clean My Gutters? Gutters play an essential role in ensuring that your home is not damaged by water. Regardless of how high or low tech your gutter system is, it will require maintenance and occasionally, repair. 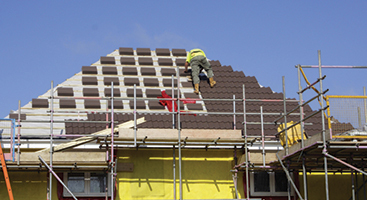 While you may be able to do some of the necessary maintenance yourself, there are times when hiring a roofing professional is a more sensible option. 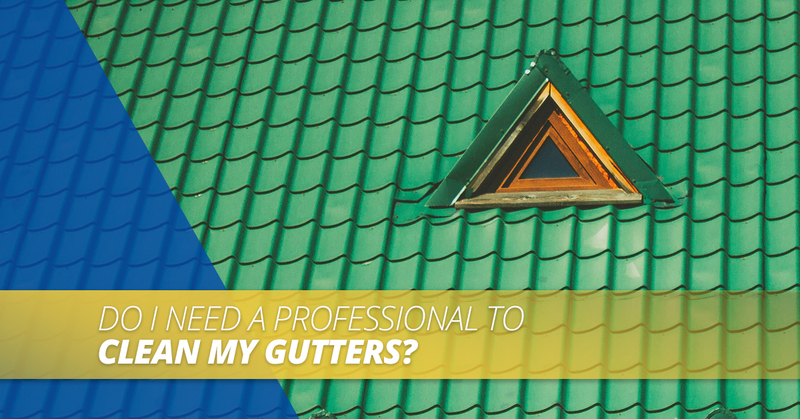 This is because some gutter problems require the knowledge and experience of a professional. In this blog, we will go over some of the problems that commonly occur with gutters, as well as how to know when you need to call a professional. If you do not have a guard on your gutters, you should clean them every six months in order to prevent debris build up, which makes it more difficult for water to flow through it. If water can’t easily flow down your gutters, it can cause pooling on your roof, which leads to moisture damage. Also, if there is a debris in your gutter, it’s common for animals to make nests in them. If you notice that rainwater spills over the top of your gutter instead of through the downspout, you notice vegetation growing out of it, or your gutters are sagging, you probably have a clog. Fortunately, cleaning a gutter is a straightforward task: simply climbing a ladder and removing the debris manually. If your gutters are very high up, it’s important to take special precautions, especially if you require sharp tools. If your gutters are higher up than you feel comfortable climbing, it is a good idea to call a professional to safely complete this task for you. When inspecting your gutters, if you notice water dripping from the seams, it means that the water is not being moved away from your home. This means that it could end up pooling around the foundation of your home and flooding your basement. Gutter leaks occur when rust creates holes in the gutter, or from falling debris damaging them. Small holes can be repaired with a sealant. 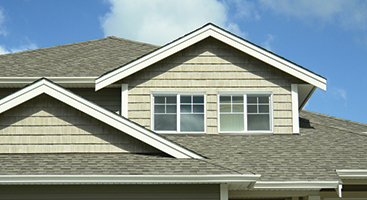 Larger holes may require calling a roofing professional for help. If your gutter is weighed down by debris and leaves, it could begin sagging and pulling away from the fascia. If you don’t fix this problem, the gutter will not function properly, causing the water to flow straight down and pool around the foundation. Additionally, if your gutter is not properly attached to your home, it could collapse, causing injury to anyone below. Fixing a sagging gutter requires adding a brace where it sags, as well as replacing any broken or weak gutter hangs. The problems listed above often do not require professional intervention. 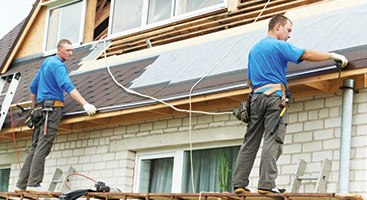 However, there are circumstances in which you will want to call Ace Solar and Roofing to help with your gutters. When Do I Call A Gutter Professional? If your home’s gutter system is older or extremely damaged, you will want to install a new system. If this is the case, you should not DIY this project. You will need a professional roofer for gutter installation to ensure that everything has been done efficiently and effectively without causing damage to your existing roofing system. While cleaning gutters is generally a straightforward process, this isn’t the case if you have a particularly stubborn clog. This is especially true if you have discovered that animals are nesting in your gutters. In these cases, you will need professional help. Climbing on a ladder up to your gutter can be dangerous. If you do not have the proper safety equipment or a ladder that is tall enough for the project, or if it is icy or slippery when the repair needs to be done, it’s best to call a professional. At Ace Solar and Roofing, we have all the safety equipment and experience necessary to get the job done efficiently and effectively, so give us a call if you feel that your gutter cleaning would not be safe to do yourself. Your gutters are an important part of your roofing system, so it’s essential to prioritize proper maintenance. When you need professional intervention, the roofers at Ace Roofing can help! Contact us today to learn more about our gutter repair and maintenance services.